It was a crisp and sunny day in Perth yesterday so I wore my new Akita Tee for the first time. 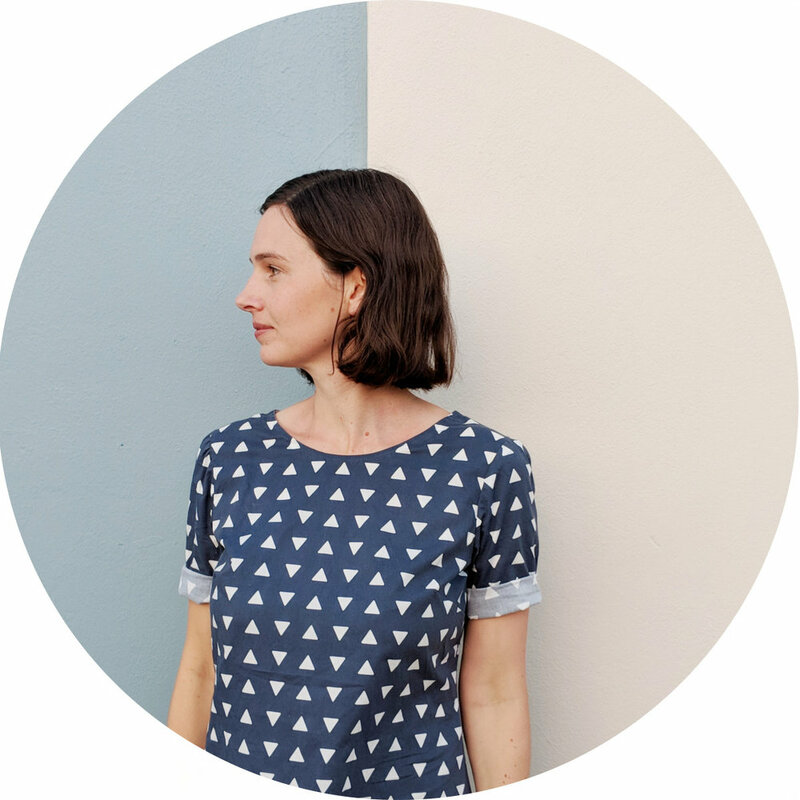 I'm always on the look out for simple patterns which don't require too much fabric and the Akita Tee by Seamwork Magazine is just that. I have so many odds and ends in my fabric stash, it is great to have another pattern which only requires about a metre of fabric. I made this version in some left over medium weight linen which worked well. The completed top is simple, comfy t-shirt with a lovely shape. Moving forward, I want my blog to be as helpful as possible for anyone planning on making patterns I have tried. Therefore, I have included some detailed notes about the alterations I made to the Akita Tee pattern below - as well as a few thoughts on what I would do differently next time. If you want to make your own Akita Tee please read on! I found this pattern surprisingly long. I guess this is so it can be tucked in easily; however, I felt it was too long to wear out over jeans which is what I intended to do. I ended up shortening the top by 2.5 inches which makes it much more cropped. The good thing about doing this is that it reduces the amount of fabric required even more. Side note: I don't have a lot of experience altering patterns but it is something I want to get better at. In the future, I plan to photograph and document this process better for any readers who are in the same position. The original neckline - bra straps and all! In the original pattern, the raw seam edges and neckline are bound with bias tape, folded under and then machine stitched into place. This requires four yards of 1/2" bias tape. I don't like using the poly-cotton bias that is readily available - but I also didn't want to make four yards of handmade bias for this project. I always wanted a neater finish than I achieved with this technique during my test run. Because of this, I decided to only use matching handmade bias on the neckline. Instead of using my machine to sew the bias down, I hand sewed it using slip stitch. This meant I did not end up with a heavy line of machine stitching around the neck which I think looks much nicer. I finished the side seams by overlocking the raw edges, tucking them under and then using slip stitch again to sew them in place by hand. This did take quite a long time - but I enjoy hand sewing so I was happy to put in the time to achieve the look I wanted. Neckline detail - no heavy machine stitching here! Side note: When I showed my Grandma my finished top she pointed out I was doing it wrong... I've since looked up a few tutorials - the one below from Craftsy is very helpful and I promised my Grandma I would do better next time! The only thing I would do differently next time is drop the bust darts by 1 inch. I thought they were in the right place, but as I wore the top I realised they are not quite right. Because this pattern has no should seam, this was not obvious right away. If you are making your own toile, I recommend wearing it round the house for a while to get a better sense of how it sits once you are moving around. That is all for now, I hope these notes have been helpful! Please let me know if you have any questions.